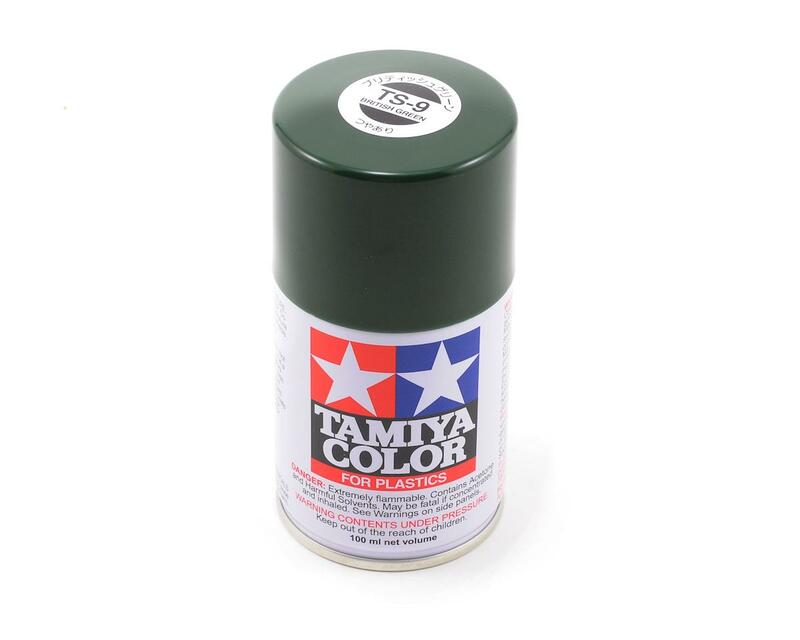 This is a 3oz can of British green lacquer spray paint from Tamiya. These cans of spray paint are extremely useful for painting large surfaces. The paint is a synthetic lacquer that cures in a short period of time. Each can contains 100ml of paint, which is enough to fully cover 2 or 3, 1/24 scale sized car bodies. Tamiya spray paints are not affected by acrylic or enamel paints. Therefore, following the painting of the entire assembly, details can be added or picked out using enamel and/or acrylic paints. By combining three different paints, the decoration of plastic models will become simpler and more effective.